Staged and shot product photography outdoors using a reflector to guide the light. 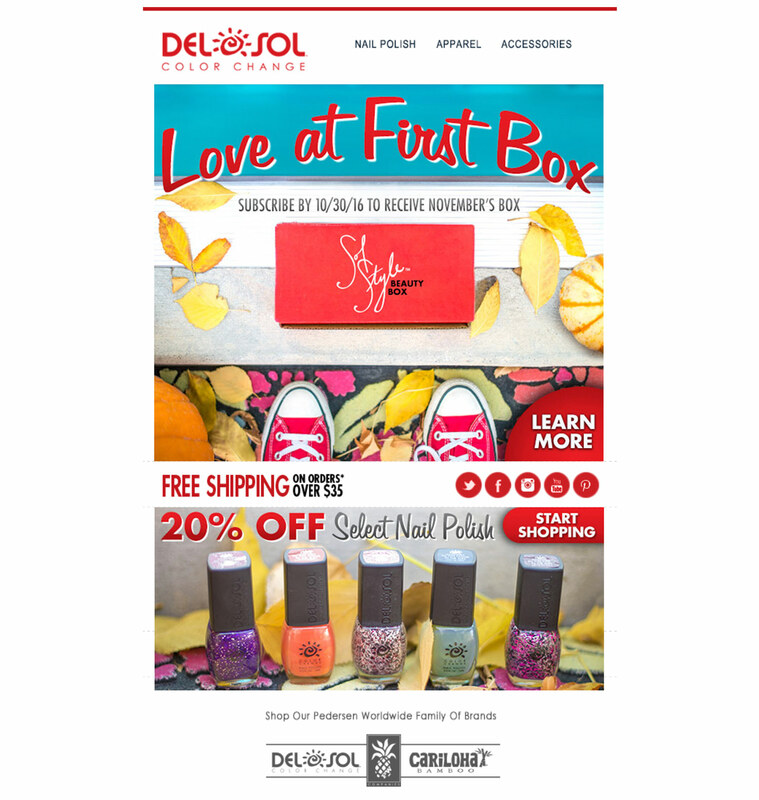 Worked with Web Team to create a colorful email campaign to promote our Sol Style™ Nail Polish subscription box. Create concept and staged and shot product photography featuring fall colors and variety of Nail Polish colors.